And this is where foreigners fall foul of the book. First missile back: ‘No permission to site the tanks there. 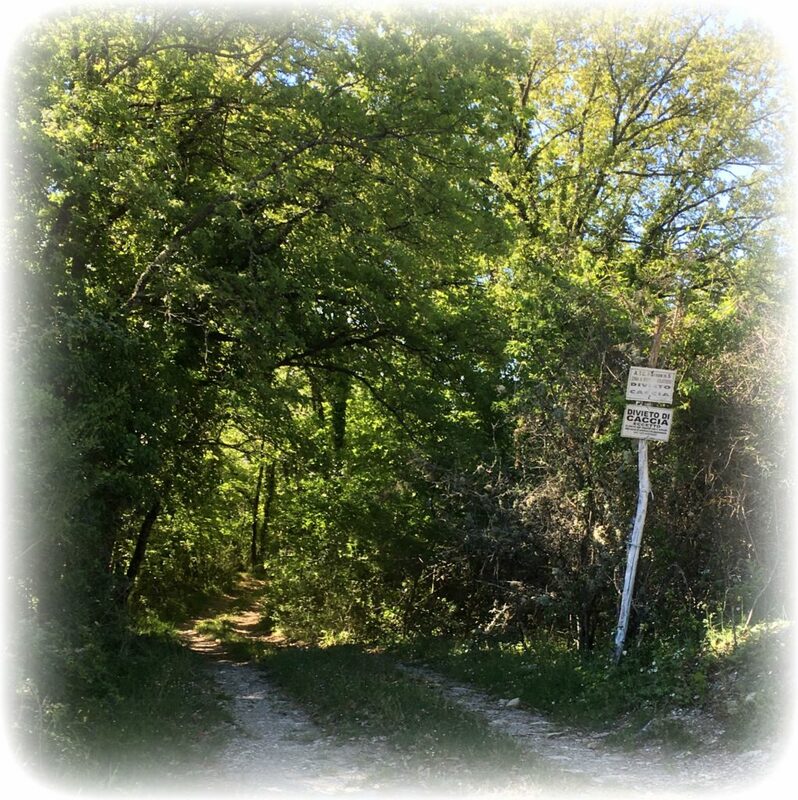 Although it is your land, your olive grove has been neglected for so long we have decided to declare it ‘abbandonato’ – natural forest land – and you may not touch it. You may not even dig down and put tanks underground.’ Our land?? Our olives, apple and pear trees?? Not to touch it? Nonsense! So at great extra expense two tanks, exactly half the amount of water I had estimated would get us through a hot summer, were put under the car park. Plus a 5 thousand litre holding tank in the bee garden. Damiano did a good job and once finished, it was as if nothing had occurred. 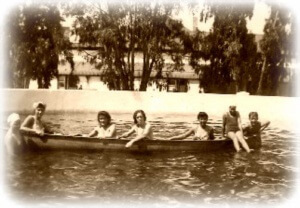 As it was by now the beginning of summer Senor Bardo arrived and filled the new tanks with water. We were taking no chances of the intermittent borehole trying its best to fill them. ‘Well that’s that, we are all set for the summer …’ said Liam. The two of us sat back and raised a nice glass of Chianti red on the terrace. ‘Perhaps we can now sit back and relax, as our visitors do.’ I said. The following week we had to go back to London. It was the beginning of summer and we were to be gone about ten days. After that we were looking forward to a lovely long summer filled with close friends and family. 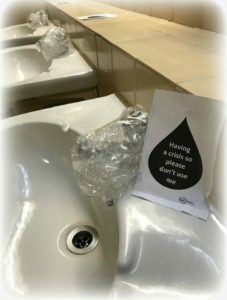 We left with happy hearts – for as we drove out of the car park we knew that underneath the two cover lids lay 26 thousand litres of lovely stored water. A few days later, the line between Chianti and Liam’s London office practically crackled. It was Damiano, and he sounded as if he was about to have a heart attack. He had been down to our house just to check that all was in order, and he had lifted the covers to the tanks. Not one drop of water remained in either tank. ‘There must be a leak,’ said Liam, ‘Check all around the area and see if there is any moist soil or green patches.’ But there was no moist soil and there were no green patches. Our water had gone. But despite Manuela’s knowing nods, even a very thirsty Albani is not capable of drinking 26 thousand litres of water. Advice flowed in from all our friends. It ranged from installing CCTV to isolating one tank, dropping a fair bit of arsenic in it and waiting to see which of our neighbours fell off his perch. However none of this seemed sensible. What would we do with the ‘evidence’ once we had it? What if it was, say, old Enzio and we saw a hose pipe connected to the garden tap at our front door and leading through his house and into his tank? What on earth would we do? After all we do live ‘in commune’ and he does give Liam three kisses, a hug and some eggs when we arrive. No, we decided, if there was even the possibility that it was a neighbour, we would rather not know. Not long before the loss of our water we had been to lunch with some mutual friends. They have a beautiful property near Castellina and after lunch my hostess and I wandered around her garden. It was there that I had noticed the cover to a well, firmly bolted down and locked. When I asked her about it she said ‘Oh yes, it is quite common to lock your water in Tuscany. It is such a valuable commodity.’ Now Liam and I discussed it. ‘Makes sense to me’ I said, and although Liam was worried about our neighbour’s feelings, our own needs won the day. The next week Marteo the plumber arrived with eight new tap heads and unfortunately a different key for each tap. Then Rafaello, the wrought iron man arrived and welded hasps at each end of the iron borehole covers through which an enormously strong bolt slid and was then firmly locked. Leave your details here to get an email when the next chapter is released! They could have filmed Manon des Sources down our valley – and for that matter, several of the sequences yet to be filmed. No municipal water flows in nice round pipes down our road and into our gardens and house. Yet the vineyards and olives surrounding us look green enough, and so, when we finally signed the contract for the cattle wing of the big stone house of Fontana, we didn’t really bother much about the small detail of water. Sure the previous owner advised us to do two things … learn Italian and dig our own borehole, but he glossed over those pretty quickly, and so did we. The borehole we inherited is shared among three of us, and all three of us bought into this valley at the same time. Sebastiano owns the little stone cottage perched high above our very large house, and he is first in the water line. Then come our direct neighbours, with whom we share a party wall … old Enzio and his large extended family. That makes us the last in the water line, or bottom of the heap so to speak. Our first summer at Fontana was absolutely sweltering. The heat shimmered off the land, only rising to do battle with the sun, which in turn simply beat our plants into submission and finally death. And sure enough, one dismal morning I turned the tap on to fill the kettle and nope, nothing came out. Not a drop. It is the most depressing sight. Up the hill we trudged, for the shared borehole is situated next to Sebastiano’s house. 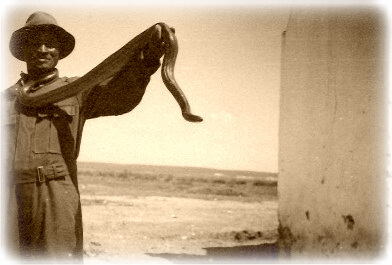 ‘Terrible’ he and old Enzio said, ‘Niente aqua … no water.’ Near the top of our dirt track lives an old man, Senor Bardo. Next to his house he has a large plot of land, and right in the middle he has a concrete cover. Under this must lie an immense amount of water, for he never seems to run out. On the day that our pool was filled he and his water lorry had made countless trips to and fro while we stood by slowly watching the level in the pool rise. His charge then was huge, and we had hoped never to see him again. Now sadly we had to phone him and arrange for him and his water lorry to deliver water once again. Our holding tank is small, and so the last bit of water remaining in his lorry we tipped into the pool. Then we had a meeting. Sebastiano and Old Enzio came and sat around our yellow wood table, and I served coffee. ‘The only thing to do’ they said ‘is for us each to get our own borehole. We know all the locals and we will get the geologists, the diggers and the drillers. That way, as there are three boreholes to be dug, they will give us a special price.’ ‘Excellent idea’ said Liam, whose pockets were still smarting from the, round about double for everything, price that we have to pay as foreigners. It was not long before an extremely smart young man arrived from Florence, in a suit. He came bearing copious amounts of paper and explained in very technical terms the fault lines below our hills. ‘Here’ he said ‘in your car park is the place to drill, and water should not be too far down.’ The depth of our shared borehole is about 30 metres, and as he was to charge by the metre dug we felt comfortable with that. Still, I was a little uneasy. How do you know there is water down there?’ I asked. ‘In Cape Town, my uncle was a water diviner and he found good water for me. I have heard that there is an old man over at Lamole who divines – shouldn’t we get him?’ ‘No, no, this is a highly technical business,’ the expert from Florence assured me, ‘the water will be running between the fissures of the rock seams on the chart.’ Back we went to London, and when the day came for the actual drilling, sadly we could not be at Fontana. Liam fielded the calls from his London office, backwards and forwards to our Tuscan car park. Thirty metres. Nothing, Forty metres. Nothing … 50, 60 70 metres, when would they ever stop? Finally at 140 metres came the cry ‘We’ve got it! Lots and lots of water, plenty enough for the house, the newly dug pool and even your garden!’ Expensive, but worth it, we rationalised. That first summer of the borehole we were surprised to see no new boreholes for our neighbours, but, we thought, as long as we don’t have the hassle of sharing, that’s OK too. We even ignored the fact that no water lorries came down to fill the old shared holding tank – or had ever for that matter. The second summer of the new borehole was another blighter. Once more the heat beat down and the house fell silent as those who could took shelter inside – the thick stone walls and small windows mercifully kept the cool in. One morning Liam came in from the car park. 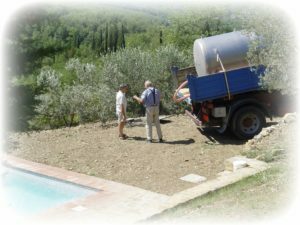 ‘The red light is on and off intermittently and I think our borehole is only giving a trickle now and then.’ ‘Can’t be,’ I said, ‘it just cannot be … all those experts from Florence and 140 metres down? Impossible.’ ‘Well that’s the story,’ said Liam, ‘and what is more I have tried to turn on the tap that gives us water from the shared borehole and nothing comes out from there either. Once more our neighbours assured us they had no water either. 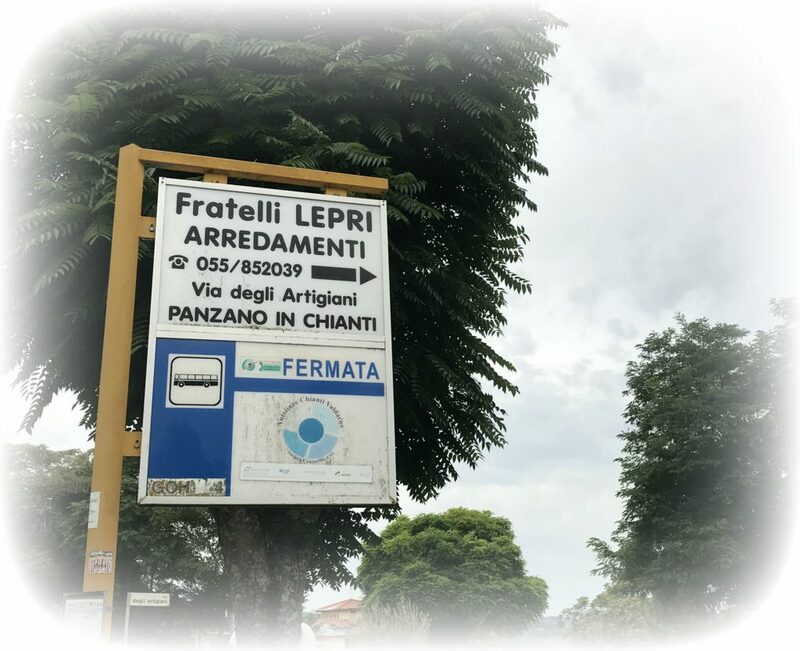 ‘I shower at work,’ said Marciano, ‘and old Enzio is illegally pumping water from the stream below the house.’ We didn’t chat to Sebastiano – we just presumed he was the same. So once more we hired the services of Senor Bardo to bring us water in his water lorry, and once more I watched as my plants died around me. And once more our neighbours did not buy in any water at all. And that is how we limped through several summers. The worst month was always August, as that is the month most of our visitors arrive. It is the time of lazing around the pool, truly under the Tuscan sun. 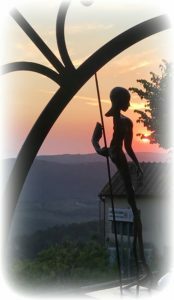 Restaurants are open late at night and in the cool of the evening there is nothing better than to stroll around one of the hilltop Chianti villages enjoying the nightly passeggiata. But for us the worry was always there … what if our limping borehole gave in altogether? I think that Liam should have been a fig tree farmer. For many years, in the height of summer and in the height of the fig season, he managed to find what must be the only fig tree right in the heart of the City of London. Every morning he would leave our house a little earlier, get off the underground a stop or two before his usual one, and break what was his normal fasting day. That was until his younger brother also began working in the City, and then the earlier bird got the fruit. 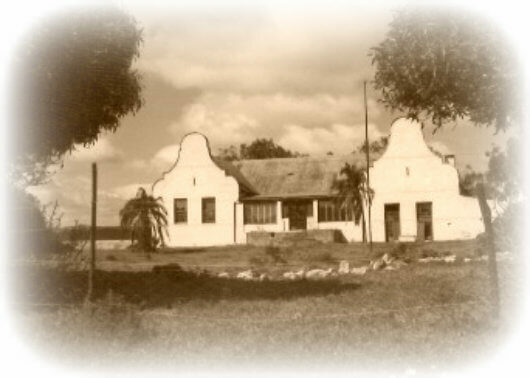 At Fontana we inherited one large fig tree at the gate, with delicious large white figs. Then, when we were restoring the olive grove, we uncovered a small but prolific fig tree in amongst the brambles. These ones are deep red, and with this one the race is now on between Liam and the birds. Our neighbours don’t seem to eat them, preferring to wait until the end of summer, and then they make jam. They are all great jam makers, and on a summer’s evening you can see both Manuela and Leila out with their straw baskets collecting blackberries along our bumpy track. ‘Not really,’ I replied, ‘why not?’ ‘It’s got lumps!’ M said, ‘I can’t eat it.’ ‘Nonsense!’ I said, ‘those lumps are the fruit.’ And it turned out that most Italians only like smooth jam – you must mill it up until it resembles baby food. It turned out that for a fig to ripen it requires a certain wasp. This wasp does not arrive in the early spring, and so the very first crop of figs do not ripen, but merely fall off the tree. Then, when the next lot appear, the wasp has arrived, and gets busy fertilising the fig. If you stand under the fig tree and reach up and press the unripe fig quite hard between your thumb and index finger, you need to feel a slight ‘give’. If you can, then they are ready for the pot. You pick them whole, scrape them and cut a cross in the bottom. 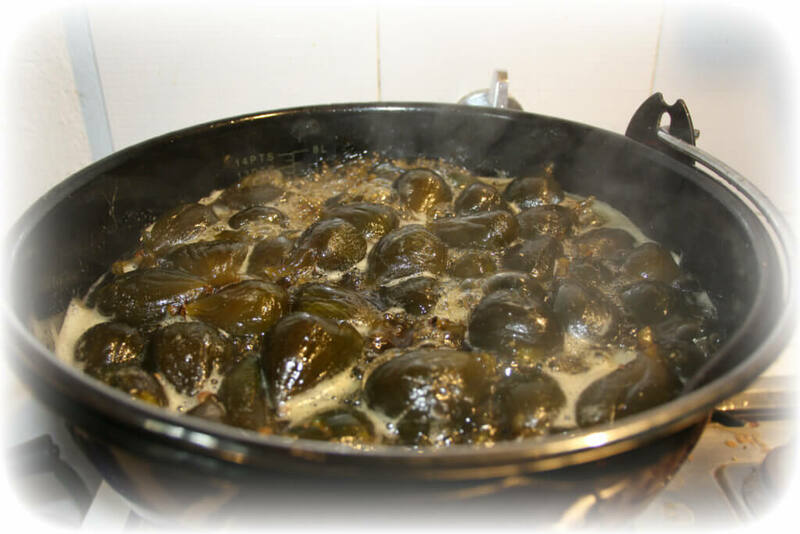 Then you cover them overnight in a solution of slaked lime. The next morning give them a good wash, and boil them in a sugar syrup solution until they are translucent and glossy. Absolutely delicious with cheese, and, with the Tuscan pecorino or sheep’s cheese in our area, mine do not last a nanosecond. I had a look. ‘Wow. These deer have a pretty good reach,’ I said, ‘they’ve practically got to the top – and just look at that – they’ve eaten the unripe figs too. Just then Alessandro arrived for pranzo. 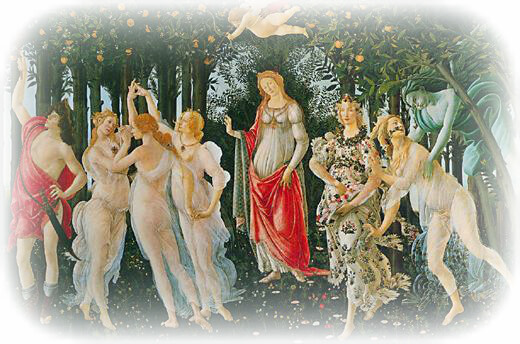 ‘Yes,’ he said, ‘The fence is too low and now that you have tasty trees the capriolo – the deer – will easily jump it. Then they will be very happy. You must make the fence higher.’ So, as fruit trees rate very highly in Liam’s life, down came the workers and up came the fence. We raised it by a metre. 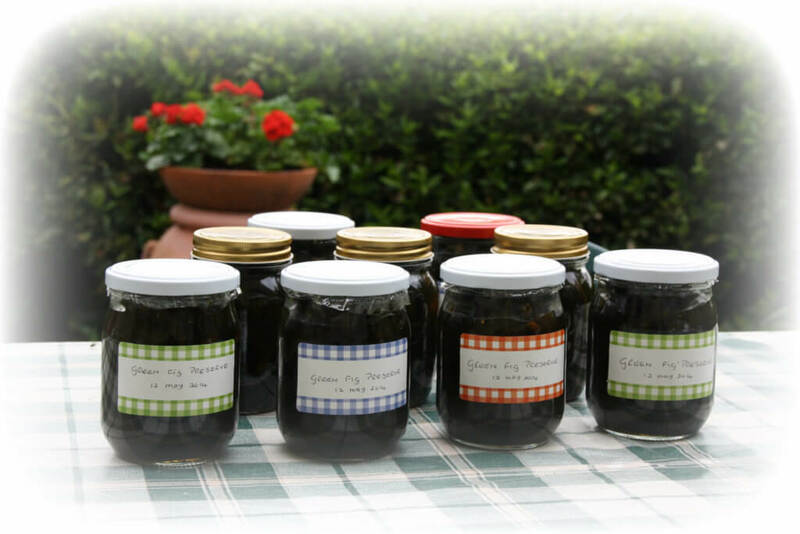 But now, getting the word for ‘fig jam’ – mamellata di fichi – right, I seated myself at the kitchen table. The old one, Flavia, never moves from her seat. She faces the door, and sits at the right hand corner of the old wooden table. Manuela and Flavia both peered dubiously at the whole figs in their syrup. ‘Prova’ – try,’ I said. ‘I’ve brought a little pecorino to go with them.’ Out came plates and knives and on went the kettle. Gingerly they tried a teeny weeny bit. ‘Buono!’ they chorused in unison, without one jot of conviction in it. In fact their faces were the picture of misery. By now the kettle was boiled, and Manuela had got out three mugs. ‘Now for some proper Tuscan fare,’ she said, ‘At the end of summer we dried fennel from the slopes of the hillside, and maybe you would like a little fig jam made from the big tree on our terrace? 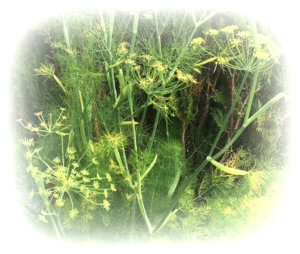 Up from the steaming mugs wafted the amazing smell of fennel. I peered into the pot of mushy fig and looked across at these two old Tuscan treasures. Both seemed to be waiting anxiously for my verdict. To me the best day of the year is my birthday. The 22nd March … not the 21st March or the 23rd March. I am quite unable do that. For, as long as I can remember, my joy has been to celebrate my birthday in my home, surrounded by friends and family, and I cook. A sort of lousy Babette’s Feast, for I am no cook to write home about, but this is the day that I pull out all the stops. This year for the first time we were in Tuscany. ‘I’ll feed them all here,’ I told my brother, who was visiting from the Cape. ‘Us, Mila and Mauro from Venice, and Kira and Mirko from Florence. I’ll set the yellowwood table beautifully. I’ll use Ouma’s old dinner service and I’ll cook something nice – with a real Cape flavour’. The nice cosy off-the-tourist-track restaurant lay just behind the Duomo. It was packed to the brim with locals enjoying good Tuscan fare. Doors and windows were closed against the March chill, scented waves of ribollita, lasagne and pasta competed with the chat and general laughter of people simply having a seriously good time. 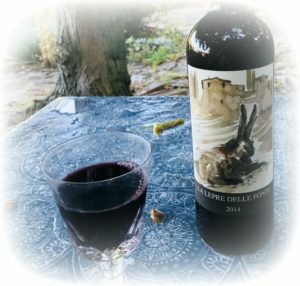 The local Tuscan red flowed and our table was enjoying it all immensely. ‘No matter that I did not cook,’ I thought, ‘I feel as happy as I have on every birthday.’ My brother glanced across the table at me, lowered his eyes and smiled gratefully at his plate. It was late afternoon by the time we walked out of the door of the restaurant. The men walked ahead while us women set a more leisurely pace, strolling down the narrow cobbled streets and gazing at the beautiful displays in each window that we passed. Every now and then we stopped to talk about owning one of the stunning Florentine creations on show. ‘Sure!’ said the owner – he was so nice – ‘but you don’t want an ordinary little one. You want one with style’. ‘Style, that’s it exactly!’ chorused the three of us, ‘It simply won’t do without style.’ And then he produced it. A magnificent white, gleaming charge ready to do battle with any of the rough cobbled streets and traffic jams of Florence. ‘Oooooh!’ we gasped. Campari was duly fetched from the parking garage and positioned on the pavement outside the bicycle shop door. 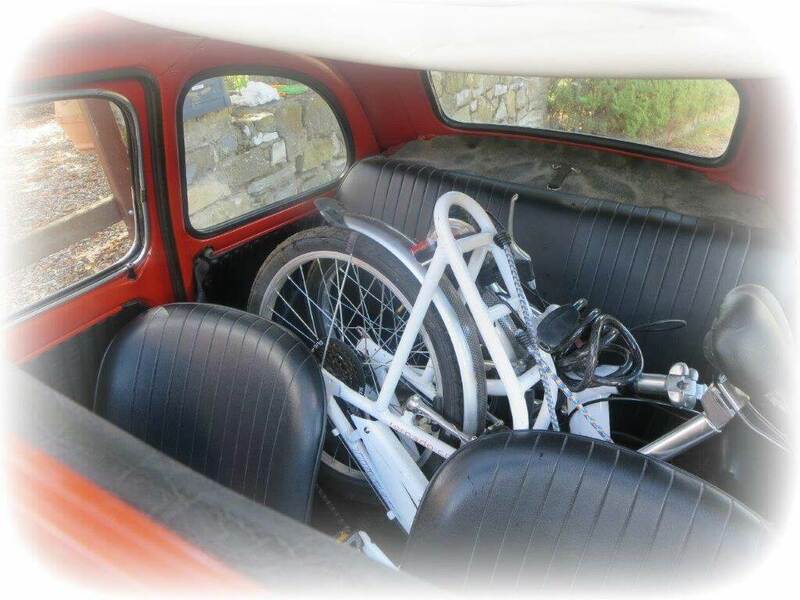 ‘Snap-click’ went the man and onto the back seat of Campari went the bicycle. A perfect fit, and a perfect end to a perfect day. The next Sunday Liam folded my gleaming new toy onto the back seat of Campari and off I set for Florence. ‘Enjoy’ he cried as he waved good-bye from our wooden gate at the bottom of our valley, ‘Explore Florence and come back to tell me all about it’. Passing Pasquale in his orto I called out to him. ‘Buongiorno … I’m going riding in the streets of Florence. ‘Let me see,’ he replied and came up to the car, ‘Oh, one of those’ he said. ‘Better you take the bus’. And muttering something suspiciously like ‘new fangled rubbish’, he set off back to his vegetable patch. I decided to park Campari just in front of the American Embassy. ‘It’ll be a nice ride along the Arno to the Ponte Vecchio,’ I thought, ‘and then I’ll take it from there’. I got the bike out and set off. I crossed the Arno at the Ponte Amerigo Vespuci and cruised slowly along the south bank of the river. A light breeze played softly in my hair. ‘Oh this is the life’ I thought, ‘so step it up girl.’ I pedalled faster. In front of me I could see the Ponte Vecchio, its beautiful medieval shops basking in the morning sunlight. I headed for it. 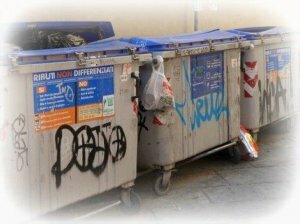 Just about at the corner of Ponte Santa Trinita and Via Maggio there is a row of dust bins – those funny big grey ones on four little wheels. It was there that I heard a snap, but no click. With that the handle bars and front wheel folded in on me and I found myself airborne. With an unceremonious flop I landed on top of the dust bin with the broken lid. Tourists gasped, onlookers gazed … and I? Ignoring my grazed elbows, and not even attempting the ‘snap-click’ I lifted the awkward beast up and beat a hasty retreat down the narrow side road running towards the Santo Spirito. All though the long winter months Fontana has stood cold and closed. Did the house miss us, and what have our neighbours been up to? I imagine the warmth of winter fires, snowy nights … when friends ask me where our house in Tuscany is I always say, ‘You don’t have to die to go to heaven, because paradise is right there’. ‘Right there’ is about half an hour due south of Florence. It is in the middle of Chianti, but contrary to the idea of an anglicised ‘Chiantishire’ we are at the bottom of a valley that seems to have stood still in time. Our neighbours still till the land, and three different families live under one big roof of a sprawling 17th century farmhouse. We bought the cattle wing. And so, by ancient stone, terracotta tiles, and the intricate balance that extended Italian groups need in order to co-exist, we are tied to them. 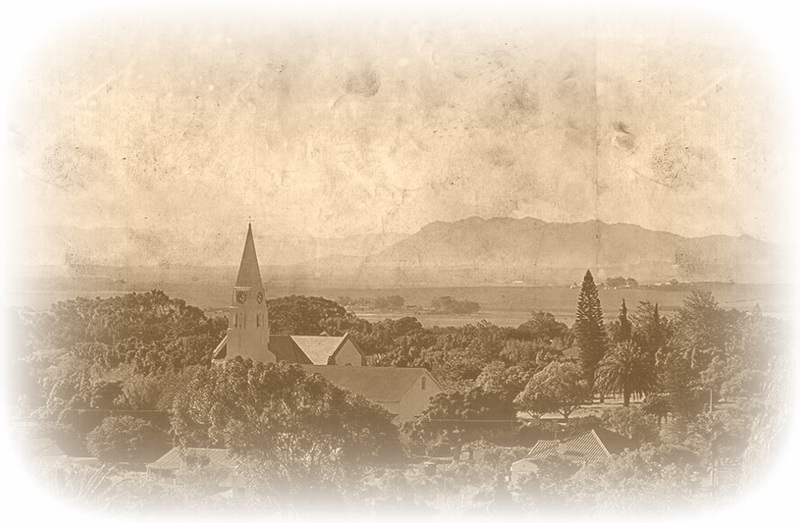 For me there is another factor: here I feel intricately linked to the place of my birth: the blue skies of the Cape, the olives and the vines, and above all the friendliness of the people. When I first arrived at this big stone house our neighbour Manuela was perched high on her steps hanging out the washing. I spoke no Italian. None of our neighbours speak English. ‘Bourngiorno’ I said praying that would be enough. ‘Brava!’ she laughed, ‘You see, you are talking Italian already.’ I could make that out. They liked me, and I liked them. Now, after an interminably long winter, we are back. I step out of the aeroplane door and walk down the steps. My feet touch the tarmac. They are on Italian soil and I have arrived! 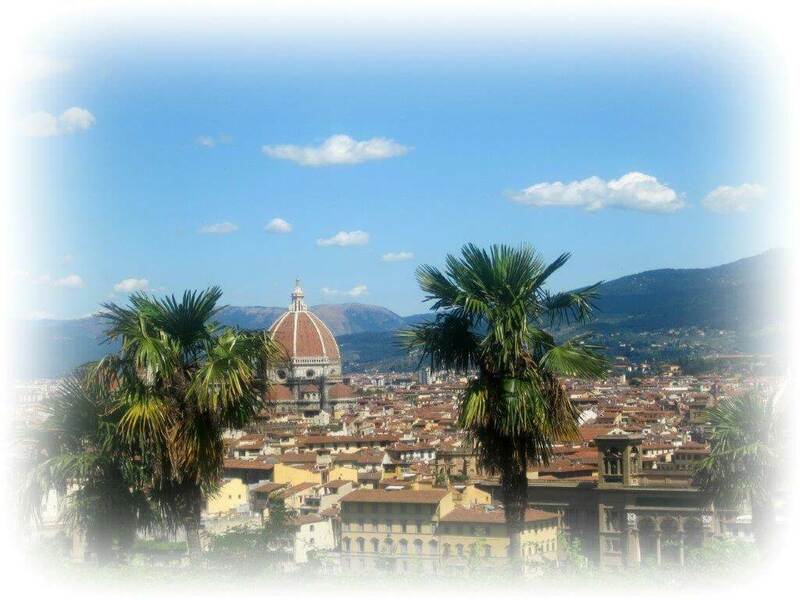 The Sita bus leaves Florence and starts to wind through the hills surrounding Florence and I sit back and smile. There seems to be a parallel action going on. As the bus climbs the hills, so my shoulders drop. We hop off at our village and head straight across the road for the café. The owner Santino is inside and throws his arms out in delight. I get two kisses, a hug and a cappuccino. ‘The winter has been so-so,’ he says. ‘Lots of rain and no snow at all.’ ‘Oh – mi dispiace, I’m sorry’ I say. This does not bode well for the farmers as the vines and the olives like the deep snow – as it lies thick on the ground it slowly feeds the water deep down into their roots. Yet here, at my very own gate, appears the riot in real life: a heady mass of tiny field flowers against the hit of blue rosemary and white viburnum. ‘Wow!’ I say to my husband, ‘Let’s leave the house and just wander around outside, it looks too good to be true.’ And it is. In amongst all the beds, winding through the still dormant lavender and other bushes are deep holes. ‘Something’s been sleeping here!’ I say to Liam. ‘And something’s eaten every single iris bulb – now there really is nothing left,’ he replies. We gaze at the devastation. Porcupine. All last summer we had tried to catch him, but with no success. We had even bought a trap and put in a tasty potato, but no go. When we left, we’d hoped he had left too, but that was mere optimism. Quite obviously he had decided to spend the winter in our garden, with a ready larder at hand. ‘Well Elena,’ I say ‘This one, trapped in our domestic garden for most of the summer and all of the winter, must be the wild card, for nothing we try seems to get him out’. And all along the base of the fence, like a long trench, our porcupine has been digging to get out. But why, when there remain other tasty bulbs in our garden? Then we look through the fence. And all along the base on the other side of the fence runs the same trench. ‘You see’ says Elena ‘there is a man and his ladylove and they cannot get to one another’. ‘Well,’ says my husband with a smile, ‘Let’s help love find a way. Tonight we leave the gate open. If he’s so keen to get to her, he’ll push off’. A potato love-letter? 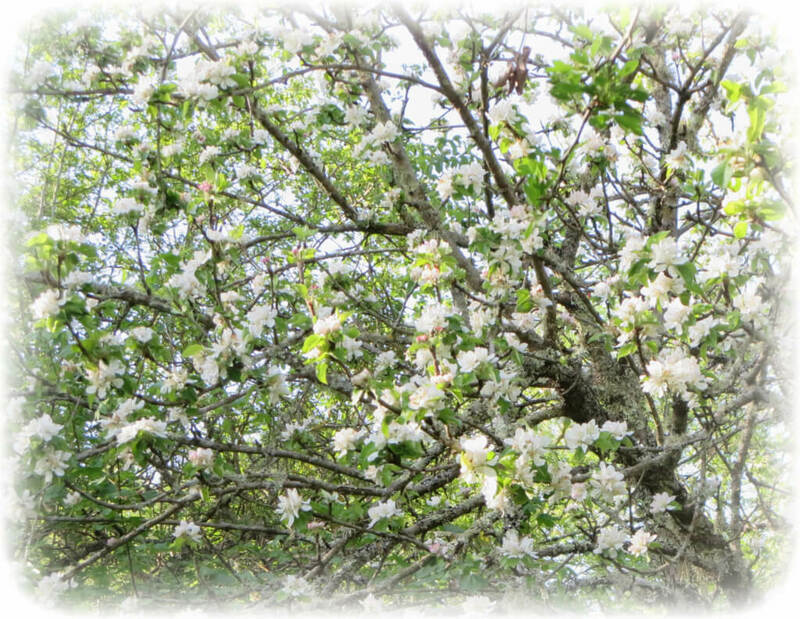 Call it Spring, Primavera or what-ever … wouldn’t work for me! Betty Hare, ninety years old. 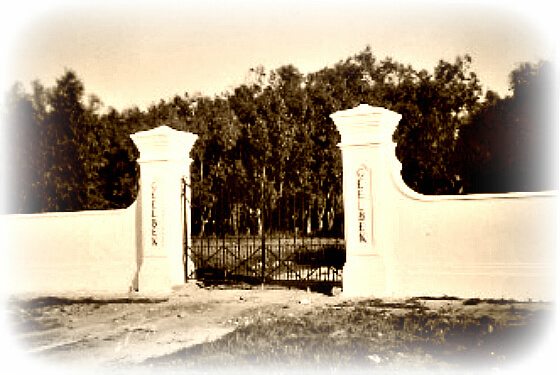 The last owner of the farm Geelbek to have lived in that great house. No parents in law left, no strong hunting, fishing brothers-in-law left, and no husband left. They’ve all gone. But in her heart she holds a myriad of memories of life on that farm. Some of my older cousins do too, and they’ll all be there today. Alongside the old veranda with its curved tin roof, the marque is decorated fit for a queen. The past few days have been spent working on the blue and white theme, balloons are everywhere. The tables are set for a hundred guests. 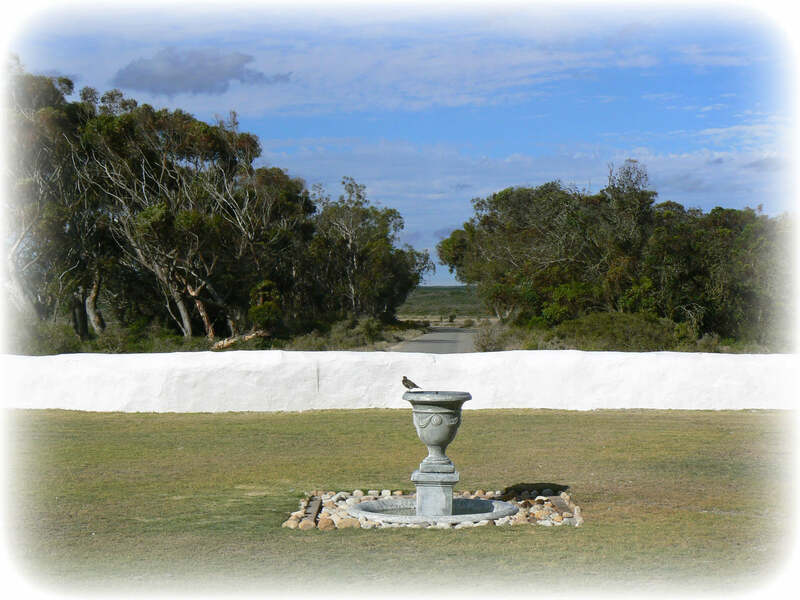 Friendly neighbours at Langebaan have practically denuded their gardens of blue and white agapanthus. The promised ‘west coast’ fare of a selection of bredies is bubbling away on the kitchen stoves. Last minute checks and the bus from Cape Town arrives. My cousins spill out, already in a party mood. They have had a whale of a time on the two hours journey, singing all the old songs we used to love as children …. She’ll be coming round the Mountain, Daar le die Ding, Emma Kalemma … all those old coconuts from our childhood. No matter that most of them are in their seventies, if not older. Welcome drinks are out on the lawn, under the palm trees and overlooking the lagoon. From this vantage point you can see the long jetty stretching way out through the wetlands and into the water. It needs to be that long for the rises and fall of the tidal drop on the lagoon is huge. Today it is used as part of a bird hide, but when my grandfather lived here this was the jetty for his speedboat. The Century. I can remember the novelty of it, the thrill of sitting safely between my mother and my grandmother on the wooden back seat. The quiet hum of the engine as we sped across the flat waters of the lagoon towards Churchaven way and the sheltered white beach of Kraalbaai. As luck will have it I find the two oldest ones together. ‘Yes, I remember it well!’ they say in unison. ‘No you don’t’ says the one to the other, ‘you’ll just make it up.’ Some things never change. But it turns out that I was wrong. The Century was bought in South Africa. By now the drinks on the lawn are over. Our mum is sitting in her wheelchair surrounded by family and loving it. 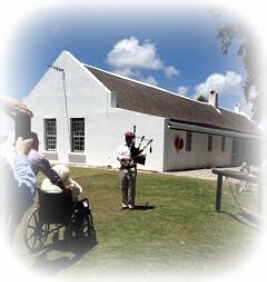 Suddenly as if from nowhere the sound of a bagpiper is heard. It is my son. The sound of the pipes draws nearer. He stops at her wheelchair; old blue eyes look back at him. Still piping, he turns and starts walking slowly towards the marquee. John and I walk on either side, holding her hand. From behind Kathy starts pushing the chair. In my mind there’s a terrific squealing and some small piglets career past. They have somehow got loose. One has been caught and as he wriggles and kicks his little black hooves he screams as if he is about to be murdered. I never knew a piglet could squeal like that. By now we have strolled back to the marquee, and finally the party is over. Cousins pile back on the bus, and we wheel my mum out of the marquee to wave good-bye. I turn back to the house, thinking about something Elmarie told me over our cup of tea. When I mentioned how sad I felt that nobody lived in this great house anymore she had replied: ‘This house is not lonely – the restaurant, and especially weddings, have breathed a new life into it. Just think of all the couples that have married here over the past years … so many dreams coming true, so many memories that they will hold in their hands forever.’ She’s right. 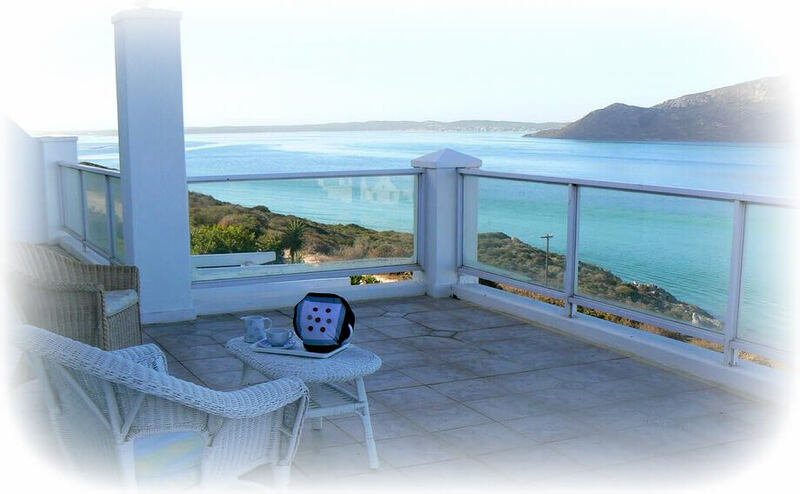 Very soon we are back at our house in Langebaan. We open the garage door to allow our mum’s wheelchair through. 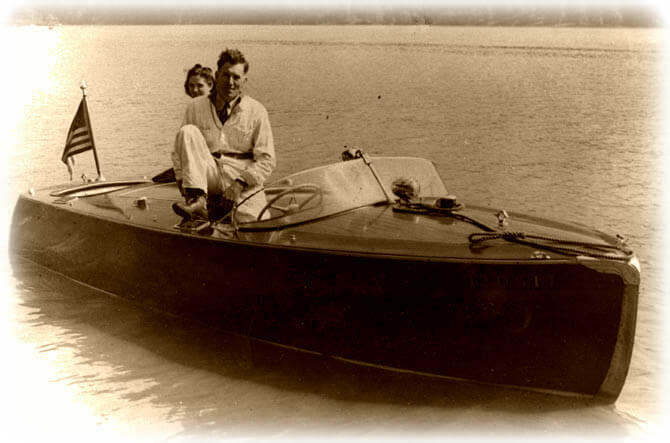 There’s the speedboat, the Century from all those years ago. It hardly ever goes on the water, but sleeps peacefully in the safety and shelter of the garage. We wheel my mum through to her room and help her lie down. She’s very tired now. Gently we cover her with a blanket. Almost immediately her eyes close and she is asleep. I stand watching over her. When the tide goes out the lagoon empties. Strong currents push the water back through the narrow entrance to the sea, forcing the fish along deep channels, and the fisherman out onto the rocks. 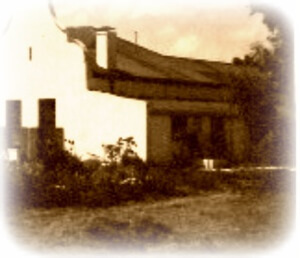 At the age of eighty my father found a plot at Langebaan and here he built a house, perched high above the lagoon. 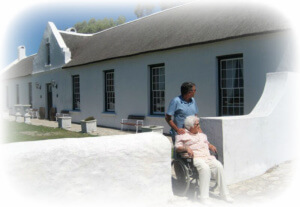 As he grew old and frail he used to love sitting on the veranda, watching the little fishing boats skim across the water, towards Churchaven way and past Geelbek. For hours on end he would sit there silently, for the Parkinson’s had got his speech. Did he think about Geelbek? Did he think about being young again, and did he think about farm life all those years ago? The drive to Geelbek takes me south through the National Park gates. The veld is barren here, windswept and wild. Below me the lagoon spreads out towards Churchaven and onwards to Kraalbaai. The tide is still out, the colours of the lagoon ranging from deep cream, through turquoise to navy blue. Elmarie has promised to take me to Churchaven someday. For there, at the water’s edge, stands a tiny church. It is closed to the public now, but somewhere inside it holds our family bible. 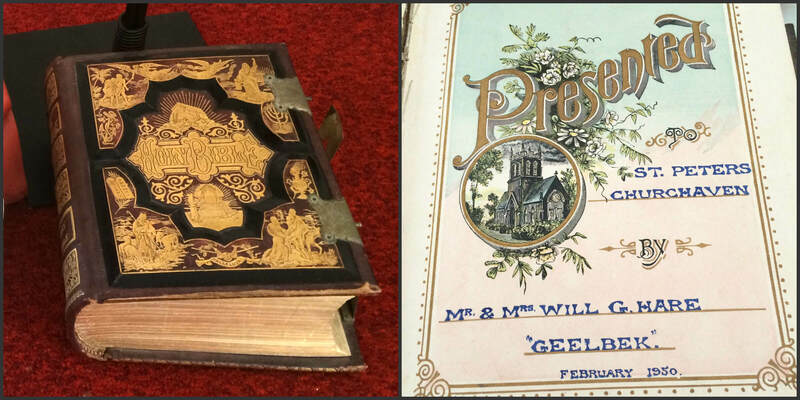 It was given to the church by my grandfather, and Elmarie has access to it. ‘I’ll start with the first peculiar happening,’ she says, ‘Look around and tell me if you notice anything really interesting in here.’ My eyes move around the room. Through another door I can just see two small doors, each bearing a sign. One says ‘Ladies’ and the other ‘Gents’. ‘Well, apart from those two signs, the Ladies leading into what was my bedroom and the Gents into my brothers, I’ve no idea …’ I say. ‘Aha! It’s your friendly ghost!’ I say. ‘What’s that date?’ I ask. ‘What about a little salad or green vegetables?’ asks my brother John hopefully. There’s a definite shake of the head. Negative. ‘Well then, what about desert?’ asks Elmarie brightly. ‘Ice cream,’ comes the reply. ‘Just ice cream. Lots of it.’ I look at my brother and we smile. It’s her party. 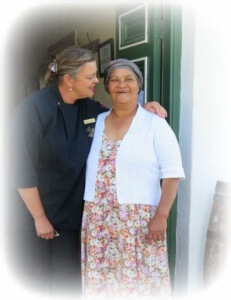 A little while ago she told the two of us that her time living at Geelbek was one of the happiest times of her life. I walk over to the window, and look out. ‘Remember?’ I say to my mother, ‘Remember, Granny’s garden was here? Now it’s just lawn and the new entrance comes in here.’ My mother looks at me. ‘I remember your khaki sun hat,’ she replies. She’s tired now. I look at Kathy. ‘Kathy, would you like to take her home – she’s had enough,’ I say. John’s already gone ahead. ‘I’d like to chat with Elmarie for a bit.’ Kathy drives our mum everywhere, and together they form a marvellous team. I stand on my friend’s back, twist diagonally across the small square window frame. Once through I rest my hands on the cement floor, letting my body follow. ‘I’m in!’ The inside of my head seems to be swelling and I put my finger on my forehead, trying to help force my memory back. What do I know, and what have I been told? I know that the small side room that I am standing in was my bedroom as a child. There’s nothing in it now. Cement floor, exposed tin curving in an arc above me. 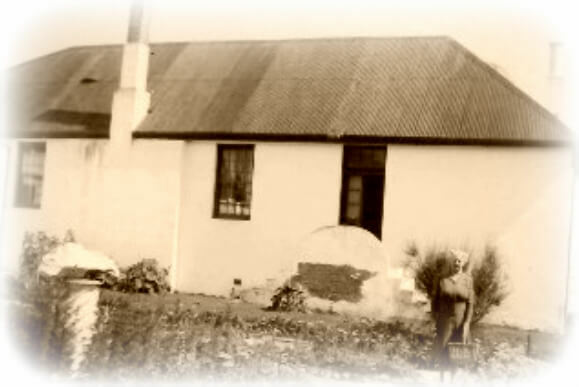 I think my father and grandfather bricked in this section of the long stoep once my brother was born. Where was my bed? I don’t know, can’t remember. I pad down the long passage towards the kitchen, looking for the outer door onto the verandah. Dust and cobwebs everywhere, the smell of must. ‘I’ll open up.’ I yell. ‘The key’s on the inside.’ The old stinkwood door creaks, sticks. I give it a kick. 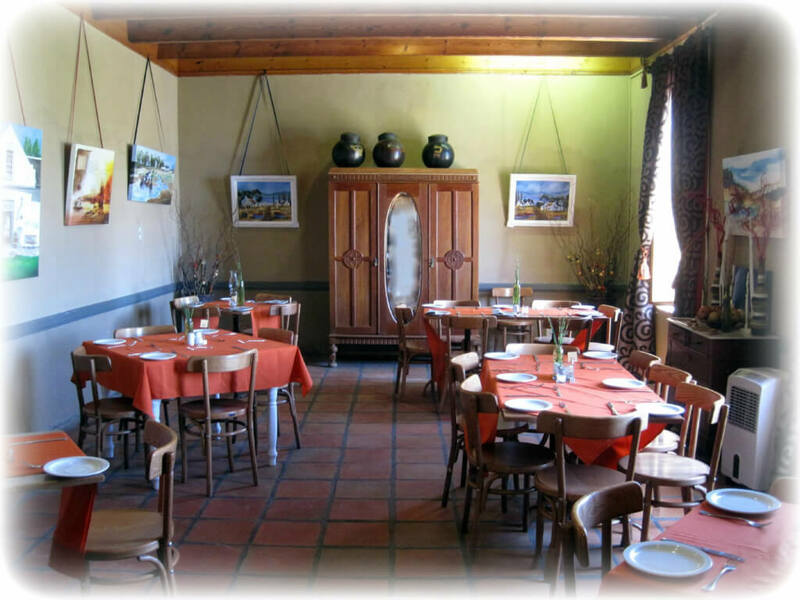 Suddenly light floods in, lighting up the yellowwood beams above, the terracotta floors below. I follow a dusty ray, along the passage. To the left, the dining room, to the right the kitchen. Long wooden stairs rise steeply to the loft. And where’s my grandmother’s garden? I can see her now – large rush basket under her arm, hatless despite the relentless African sun. Her clippers are in her gloved hands, and she’s in amongst her favourites … foxgloves, carnations, roses and lupins. She loved that garden. The house formed two sides of the square, and a low curved limestone wall the other two sides. There was a sundial in the middle and a small wooden gate opposite, leading out towards the eucalyptus trees. Courtyard garden showing back of the gabled wing … the front faced the lagoon. I push it open and stand, transfixed. Raw grey-white sand looks back at me. There is not one single plant, not even a weed. The sundial is lying in pieces in the centre. There’s no gate. A sheet of rusty tin has been nailed across the gap in the wall. Three ostriches stand and look at me. ‘Get out,’ they seem to hiss, ‘This is not your place any more. You have no business here. Shove off.’ I close the door, turn my back on them. Lena stands under the palm, the fronds sheltering her from the heat. She’s old Leah’s daughter. ‘Don’t cry, come sit under the tree. Your mummy’s gone on the horses with your daddy, she’ll be back soon.’ I sit in between Lena and her small daughter, ‘Klein Kat’ – little Kathy. Klein Kat smiles, her small hand picks up the first of the bright orange palm nuts from the grass. Together we start to build. 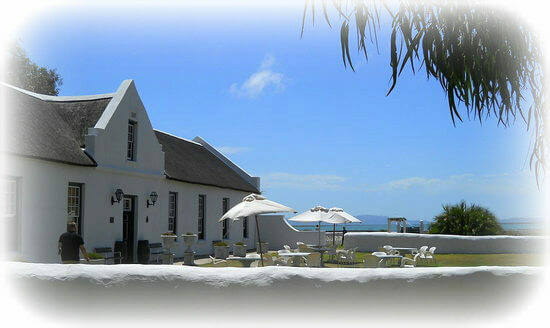 The interleading door from my parent’s room to the great verandha is missing and I can see across the huge covered space that bridges the two Cape Dutch gables. The coir matting is still on the floor and the view from here is magnificent. I look through the big picture windows, out through the two palms flanking each gable, and across the lawn to the gate in the long low hedge. Hop, skip, jump along the jetty. Miss the rotting planks. Grandmother’s got her scarf wrapped tightly round her blue rinse curls, my mother, beautiful, swings her long legs easily over the side of the Century. ‘Oh no you don’t!’ says my Grandmother, ‘you can stop right there.’ Grandfather was naughty. We loved that. I move across to the dam and climb onto the raised flower bed that runs around it. I pull myself up onto the wall and look down. Green slimy water lies halfway down, dragonflies busily skimming the water. Helicopters, we used to call them. I perch on top of the wall and look around. Enormous eucalyptus trees tower above me, their branches bowed by finches’ nests. The sound is almost deafening as their busy green and yellow bodies dart in and out of their upside down homes. I peer through one of the thickest trees. I can just see the start of the long stable wing, all doors barred shut. No horses now. I look further down the line of trees and the tall entrance gates come into view. How we loved that story! My aunt bravely boarded the old Chevrolet and inched slowly from the farmhouse door towards the new gates. Closer and closer she got, somehow mesmerized by the black wrought iron – until it enfolded her and the Chevrolet in a tight embrace. ‘I’ll never drive again!’ she announced, and fled back to the safety of the house. Once more I look beyond the last eucalyptus tree, on towards the white pillars. In my minds eye I see some cousins lolling around the wrought iron, waiting and watching for a speck of dust far, far away as visitors battle down the hump-back dirt road with its eighteen gates. But no visitors will be coming here now. No-one will be watching out for the name ‘Geelbek‘ written on the white pillars. A stiff breeze has come up, and I hear those huge gates starting to creek forlornly on their rusty hinges. There’s nothing here for me now. No turning back. And finally, it is time to leave. I jump down, off the dam wall, pick a cutting from the wild red pelargonium that has surrounded the dam forever. I turn, and move towards the gates and the long white chalk road that stretches beyond. When I was about six, and my brother John about three, my grandfather fell ill. When I think back on it now I am not really surprised, but in those days we did not know. My grandfather smoked more cigarettes than anyone I have ever known. 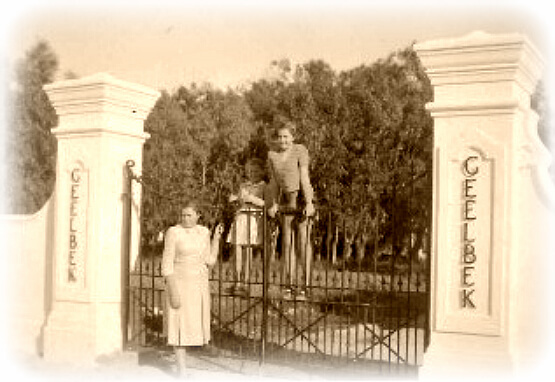 Every Friday we would drive away from the farm, and risk the eighteen gates and the car-sickness, so that we could get to the little town of Darling to buy stores. But now I think it was maybe to buy cigarettes. Grandfather used to start getting into a panic on about Wednesday, and I can remember it well. Then he used to scratch the little pieces of tobacco out of the ‘stompies‘ –the stumps – that he had smoked, and save this tobacco. By Friday morning he had truly run out of cigarettes, and he used to roll this stompie tobacco up in lavatory paper and make do, smoking it until we got to the general dealer in Darling. So my grandfather coughed. He coughed and coughed and coughed. Yet I do not remember anyone telling him to give up cigarettes, or suggesting that he stopped smoking. All I remember is that he became very ill and he had to go back to the city, and we all packed up and left for Cape Town. We stayed with one of my uncles in a house with a long, long passage from the front door to the back door, and my grandfather lay ill in the room leading off from the middle of the passage. My cousins and I would run, and then stop still and slide on the mat. ‘Shh,’ my mother would say, ‘your grandfather is not well’. And we would hear the coughing and go outside and feel hollow inside. But all I could think of was the coughing and coughing and that I wouldn’t see him anymore, and I didn’t know where he had gone, and that worried me a lot. Long, long after that I used to wake up in a panic, not knowing where my place in the universe was, and terrified because I didn’t know what was going to happen to me. This lasted until Uncle Chips died, when I was about twelve, and my mother got one of the first of her very bad migraines and could not go his funeral. Uncle Chips was one of her favourite uncles. A real ‘Mr Chips’, he had been a school master all his life. He was devoted to teaching and the funeral was to be an enormous one. ‘Don’t worry,’ my father told my mother, ‘I’ll take her, she’s old enough to go and must learn about these things’. We stood in the second pew and I remember watching everything that my father did, and trying to copy. He didn’t seem to worry that the coffin was coming soon, and that Uncle Chips was going to be inside. He greeted family and friends and I felt smaller and smaller. Then the organist started and slowly slowly the pall bearers came towards us, and I couldn’t look. Then he bent down to me. ‘That’s not Uncle Chips in there.’ he said, ‘It’s just his shell. He needed it to live here on this earth, but now he’s gone to heaven and he doesn’t need that old shell anymore. Just like a tortoise’. Somehow that seemed alright, and more and more after that, when my mother could not bring herself to face funerals, my father and I would go along, silently drawing support from one another. After my grandfather died I don’t ever remember going back to the farm, but we must have gone back in order to pack our personal belongings. My grandfather had not had this farm for very long, and he was not happy with it as a going financial concern. He left many assets, and good businesses, more than enough for his four sons to carve out a comfortable living for themselves, but while he was dying he worried about the farm. ‘Sell it!’ he begged them, ‘And let me die knowing that I have not burdened you with a potential loss loser.’ The four sons panicked, and within ten days they had found a buyer and signed the deed of sale, and they were able to tell him the good news before he died. Much later on my father, and I think my uncles, felt that they had made a tremendous mistake, and that they should rather have told him that it was sold, for his peace of mind, and kept it. My grandfather’s worry was that the horses were not a good financial bet. He had tried several times to run sheep on the farm but they just would not do. Not long after this the farmer who bought the farm discovered that there was some kind of deficiency in the veld, and one injection a year sorted out the sheep, as well as the financial viability of the farm as a going concern. Once we were gone nobody ever lived in that great gabled farmhouse again. The new owner had other farms, and other places to live. No tall farming men strode out onto the veranda and reached for their brown felt hats before they ventured into the heat of the African sun. 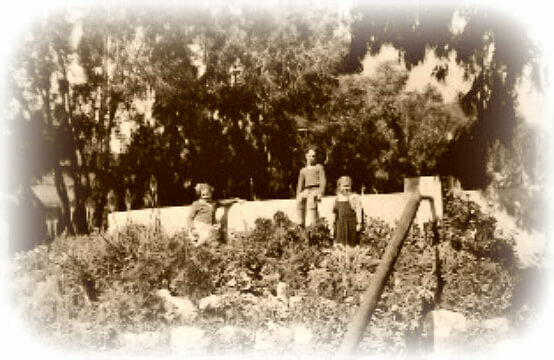 No small children ran in and out of the gauze swing doors, no cousins ran out onto the tin covered veranda, ducking under those giant blue gum trees, and on towards the dam. For decades the house stood silent, and empty.